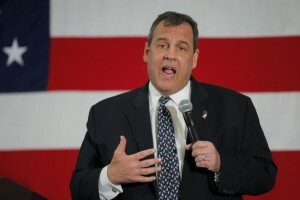 Chris Christie the Republican Governor of New Jersey and a GOP presidential candidate said he would install a tracking system similar to FedEx to combat illegal migration. Christie, who is far back amongst the 17 Republican presidential candidates told a crowd at his campaign event in New Hampshire that he would ask CEO Fred Smith of FedEx to devise this tracking system. Immigration is now one of the top issues in the campaign for the White House by Republicans. Donald Trump the party’s frontrunner has vowed to deport every one of the estimated 11 million undocumented immigrants and would build a wall along the entire southern border with Mexico. Christie told his supporters that at any second, FedEx could tell you exacting where its packages are if it is on a truck, at a station or on a plane. Yet, he added, the country allows visitors to come to the country with a visa and the moment they arrive everyone loses track of them. A system Christie said needs to be made to track them from the second they arrive and then when time is up regardless of how long the visa is for, they are then found and sent home. Christie said that over 40% of the undocumented immigrants originally were allowed in legally through a visa and then eventually overstayed that visa and remained in the country. In recent polls, Christie has lagged behind and is close to not being in the top 10 for the next Republican debate September 16. With Trump taking an approach of hard line on illegal immigrations, the other candidates in the GOP have sought tougher stances as well. Christie did not indicate specifically how the system he has proposed would track everyone as packages are tracked, as they are scans using a bar code at each of the delivery process steps. When asked for a comment, a spokesperson at FedEx kindly declined to make one.